Posted on August 17, 2016 Author David	No Comments on Have You Seen The Microsoft Hololens? Have You Seen The Microsoft Hololens? It’s rare that a new piece of technology falls in my lap that makes me say wow. Maybe it’s the professional detachment from years of physician training…who knows! But, write it down: the Microsoft Hololens is amazing…and it’s useful right now. Recently, as a Microsoft Developer, I received the Hololens I bought several months ago. I had fairly low expectations. I mean, yes, I’d read great things from CES and other events. But I mean, come on, we’ve all seen way over-hyped tech products that promise great things and do very little. I’d been a Google Glass Explorer, and I loved the idea. The heads up display, the fact that the device took up very little real estate, and the ability to connect to useful data in a rapid way seemed to hold great potential for healthcare applications. Once upon a time, I was even part of a company that was developing a system for the device for healthcare applications. However, once I reviewed the device (see that review here) I began to realize that Glass held great potential, and could be more useful with time, but that it really wasn’t ready for primetime. Now, fast forward a year or so, and my expectations were (maybe understandably) low. I mean, after all, I’d experienced the Glass, and the “Glass-hole” (term coined for how people came off while wearing Glass) phenomenon. I was still a little jaded from the whole thing. My expectations were low. So, when I received the developer version of the Hololens, I figured much of the experience would be the same. I was wrong. So very, very wrong. First, the developer version of Hololens that I received has smooth, incredible functionality. It does MUCH more than the comparatively bare bones developer version of Glass that I’d received previously. But that’s not all. This thing is stunning, its voice, hand gesture, gaze, & click recognition are all excellent. Cortana (the Microsoft voice-activated assistant) is also very useful. Battery life is good. And, of course, there’s the holographic interface. I mean, jeez, I would’ve bought it just for that. A three dimensional anatomic model, a virtual trip to Rome, and a Holo Studio for creating your own 3D (and 3D printable) models were easy to install from the Microsoft store via Wifi. The form factor? Well, this device isn’t super cool or incredibly sleek. Lucky, with its amazing creation of a three dimensional interface environment, I didn’t (and still don’t) care. After all, a lot of the accessories we wear in healthcare don’t look cool. So what now? Now, it’s easy to take this incredible device into the different fluid, fast-paced venues of the hospital. It’s a simple matter to use the device as eye protection in the trauma bay or the OR. It’s straightforward to setup some holographic projections over the patient’s bed and to display their real time info from the electronic medical record. It’s no big deal to setup a panel with their CT scan displayed while I teach or perform a procedure. 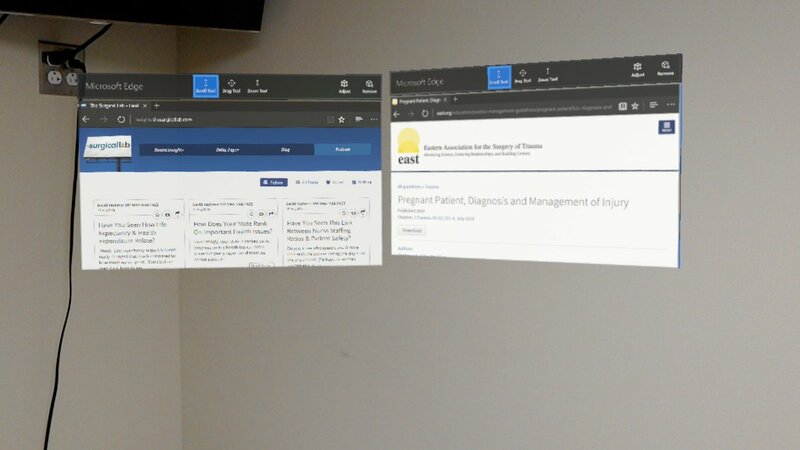 The photo above highlights just a bit of how easy it is to show website information in the Hololens environment. Thank you, Microsoft, for building Hololens. This thing is amazing and will allow us in healthcare to do a lot of good. Thank you so much. …and that’s coming from an Apple guy! For a product person like me, walking through a research institution is like a kid going through a candy store. Visiting with brilliant people and listening to them talk (while they show their life’s work) is an uplifting and motivating experience for me. So how do people like me choose with whom to work? Personalities And Assembling A Team – What Is The Personality Of The IP Generator? Personalities play more of a role than they should (and I do admit it). I, for example, do not waste time trying to get someone who has been working his or her entire life in pure research to sit down and prepare a detailed 100-page business plan. It’s NOT that they can’t do it–it’s that they choose not to. I also recognize it is not usually the best use of their time. The same can be said about getting “researchers” to help get their “product out the door”. Recognize that implementation is not usually what interests (motivates) these people, and the person who created the IP (basis of your company) might not be the best person to do this. In a startup situation, everyone needs to wear many hats and minimizing time to complete tasks is of the important for success. Some people can “flex” to do tasks they do NOT enjoy. It has been my experience a person who actually does (is able to) “flex” is a rare bird. I have written previously “your IP is not worth much until you start eliminating unknowns” . 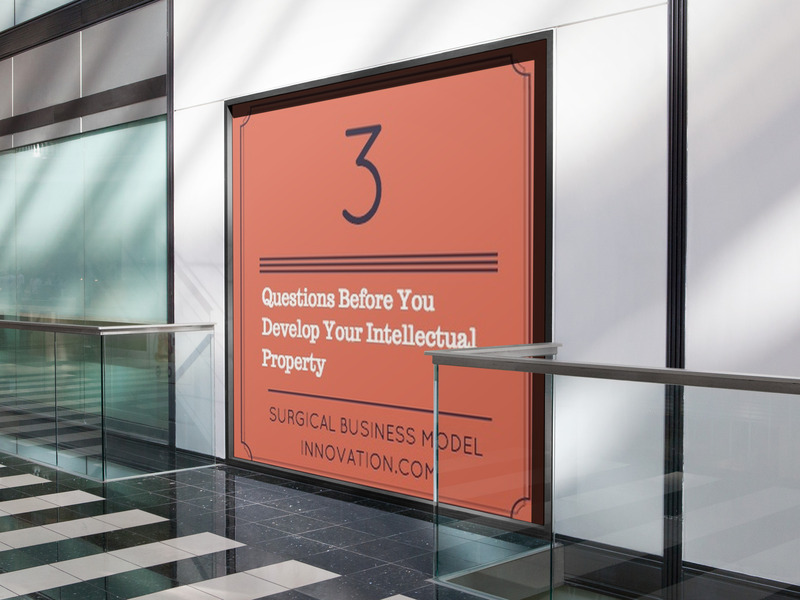 Another way of putting it is that your IP becomes more valuable when you are able to answer questions, and replace assumptions, with facts. So how much do you compensate (with salary and equity) the IP Generator on day one of your NewCo? What’s the idea premium really worth? Usually going through this exercise on (or before) day one of your NewCo tells you everything you need to know about the people who you are choosing to start working with. Even though it is true that you would not even be talking about NewCo without the IP Generator, the IP IS NOT WORTH VERY MUCH until things start to get accomplished and the unknowns have answers. Shouldn’t the people making the contributions and enhancing the value of NewCo be as generously rewarded as the IP Generator? I think so. Just because you think you have a better “mouse trap” does not necessarily mean people will be “beating a path to your door”. Often the answer to fulfilling your funding needs is getting your succinct and targeted message out to where the people that can help frequent. Kudos to the present generation for creating and using powerful networking tools to help get the message out. Getting the message out also implies people will respond. Critically analyze responses to see that the message that you thought you sent is being heard and / or understood by your targeted market (people). If your targeted market is responding and engaged to your message it is an excellent opportunity to choose “early adopters” willing to work with you to refine your initial product offering. This, in part, is the basis of that well-described strategy of “getting out of the office” to create the Minimum Viable Product (or MVP). For more on the MVP, look here. Questions, comments, or feedback? Let me know. And keep the ideas coming! Going the license route is a “no brainer” right? You get lots of money up front and still get to sit back and collect all those future royalty checks over the life of the patent!!!! You do not need to worry about raising money, hiring employees etc etc…….not a bad way to go right? I wrote previously “there is NOT a shortage of new ideas or inventions that warrant licensing and development”. Visit any web site where you can find available IP from Government and Universities to see and understand this. Try Googling “tech transfer” sometime…..(or just click here–I did the work for you). The truth is Government and Universities do a great job of licensing technology with revenues in the billions of dollars each year. 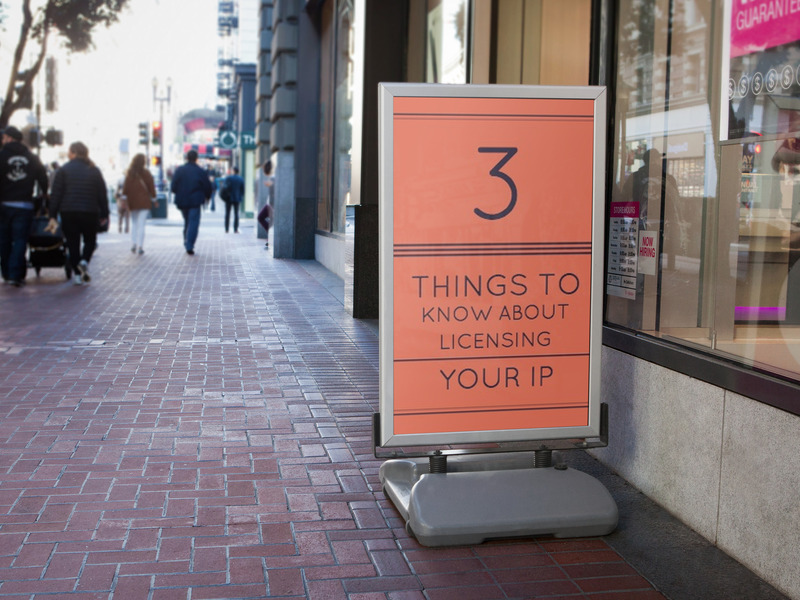 Unfortunately, only a relatively small percentage of available IP is ever licensed despite their best efforts. What Are The Potential Markets And Who Are The Leaders In Those Segments? Chances are you did not create your idea or invention in a vacuum. It’s likely you already knew something about the subject; who the players are in the field; something about their strengths and weaknesses; something about the current offerings that you could make better. Chances are that, as you talk to people, you will learn about additional markets or potential applications. Spending some of your time researching potential markets (including their size and competing companies) is a good idea even if you have no intention of licensing your IP. By doing so you likely will come up with alternative paths on how to proceed. 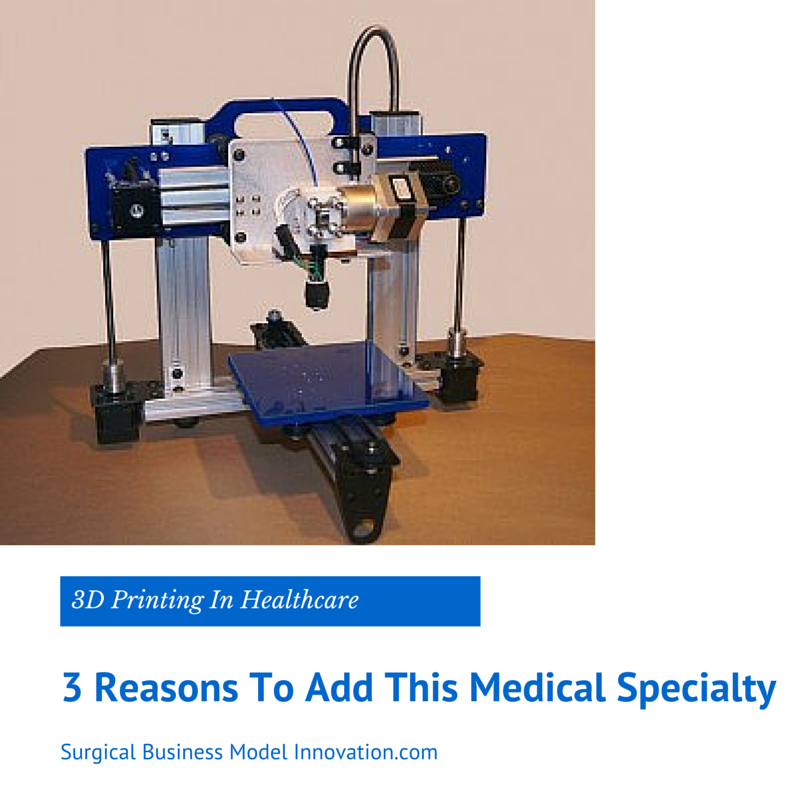 In the Medical Device Industry as an example, it is not uncommon to enter a market that has fewer FDA regulatory requirements then an initial targeted market. On the other hand if your intention is to develop your IP ONLY for a specific market or industry, the background work will be very useful for you or your “tech transfer office” to target potential licensees outside your interest. How Do I Get People To Understand What I Have? Newer “cutting edge” or technically advanced IP is often hard for people to understand (and therefore value). Do not underestimate how big a problem this is and how important it is to find ways to make people “understand” what you have AND how to apply it. It is my strong belief this is a major key to success and the earlier in the process it is done the better even when resources are tight. What Is My “End Game” Or “Exit Strategy”? Thinking of an “end game” or “exit strategy” early in the process does not sound like a useful exercise, but I would argue that in fact it is. Managing expectations and measuring results helps to keep the head “screwed on” and focused on the important objective(s). Without thinking about these early on, designing for “manufacturability” can be challenging later on. If you are strictly planning to only license your IP, you may be able to make your idea more or less attractive by considering what’s coming downstream. Questions? Comments? Thoughts? Let me know. Until then, keep the ideas coming. Why Would Anyone Invest In My Idea Or Me? If you already have a track record of commercial success you can do pretty much anything you want and command terms that will make you happy that you were born (or live) in the good ole USA!!!! 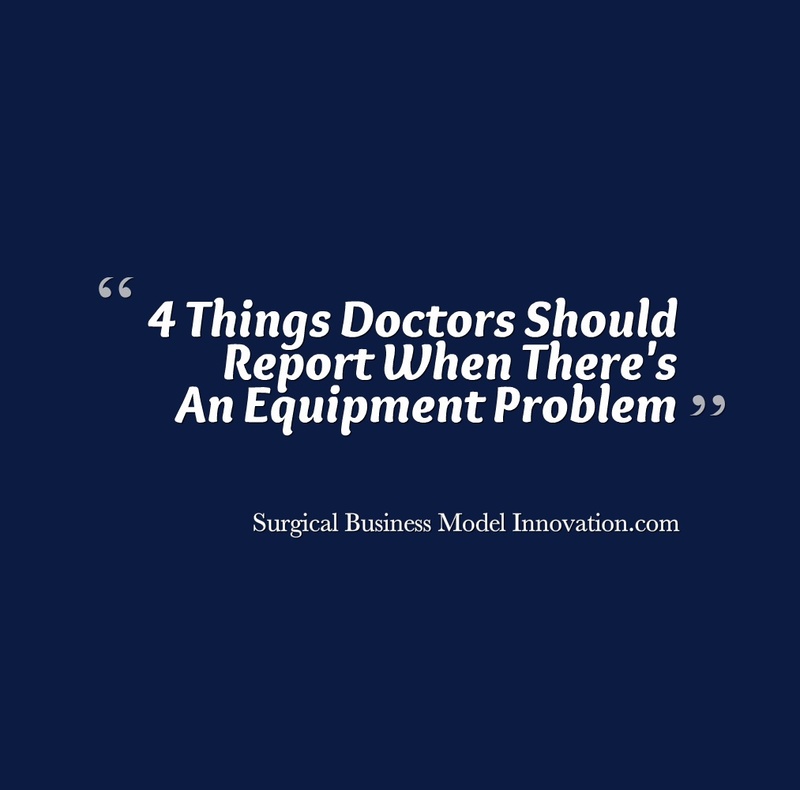 Short of proven commercial success, if you are a surgeon and are considered a leader among your peers, most likely you also can do pretty much anything you want under very favorable terms. The point I am making is that investors look to minimize risk, and the lower your credentials are on the “food chain” the harder it will be for you to get them to invest in your idea. So, unless you have significant credible endorsements that are also early investors, recognize that raising money will be difficult. How Comfortable Am I With The Information That I Have? Everyone makes assumptions in their plans. It is important to remember these “assumptions” at some point need to be replaced by “facts”. The sooner that this can be done the better so that you (and investors) can attempt to quantify and minimize risk going forward. Even though it is well known that some startup companies have successfully “pivoted” to avoid extinction, I think they all would agree that firming up your business plan “assumptions” sooner rather than later is the way to go. This idea of rapidly and progressively eliminating unknowns is part of the modern technique of the lean startup. I am in the business of developing “options” and have been for the last 20 plus years. Sad to say: it’s tough to do anything of consequence out there, and it’s getting tougher all the time. Another option is to try to go as far as you can on the “cheap”. By this I mean do your homework to eliminate as many unknowns (and risk) as you can BEFORE approaching potential investors (or licensees). With the ability today to produce mockups and even working models (prototypes) using 3D Printing, never has it been so easy to go so far on so little.